Only the transmitter is still existent. 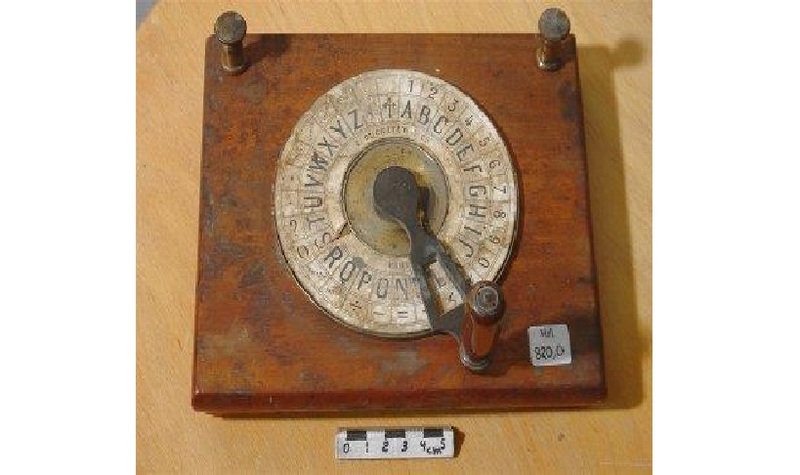 The device consists of a brass tray on a wooden square stand. It has concentric paper disc with printed numbers, Latin alphabet, punctuation, etc. A brass pointer with wooden handle can rotate on a central axis. At the back side of the stand the axis has a smaller disc connected to the power switch. It was used by the French railways.